7.6.4(4), cover uncertainties in the exact structural response independently of the intended response. 7.6.6(2) explained in Section 7.8. The second limitation for dissipative composite columns refers to the local composite plastic mechanism: it should be ductile, which is possible only if a flexural plastic hinge develops, and not through shear deformations. This is stated in clause 7.6.4(7) for fully encased profiles, in clause 7.6.5(2) for partially encased ones and in clause 7.6.6(2) for filled composite columns. This has also been discussed in Section 7.4. A consequence of this requirement is that the design shear in the plastic hinge zone of composite columns is derived from the plastic moment of that column. The third difficulty in achieving dissipative composite columns comes from the fact that the concrete encasement or infill has to contribute fully to the flexural resistance of the member, as well as to its axial resistance. 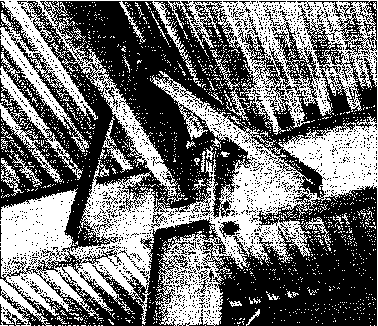 It must thus be checked that a full shear transfer between the concrete and steel parts is achieved, as required by clause 7.6.1(10). If transfer of shear through bond stress and friction is insufficient, clause 7.6.1(12) requires the provision of shear connectors. Another specific requirement addresses fully encased columns only, which are similar to reinforced-concrete columns. The rule in Section 5 of EN 1998-1 for reinforced-concrete columns considers critical regions at the top and bottom of all columns, where more tranverse reinforcement in the form of hoops is required to protect the concrete in those zones and to prevent buckling of longitudinal bars. The same requirements apply to fully encased composite columns of the same ductility class.